The award winning designer behind the Kosibah label. Profile	Even as a small child Yemi Osunkoya had an exceptional eye for detail. Mere minutes after attending weddings with his parents in his homeland of Nigeria, he would start sketching the elaborate designs he had seen adorning the bridal party, recreating everything from the bridesmaids’ parasols to the flower girls’ hemlines with the help of only pen and paper. Years later he turned that talent into a flourishing career in couture. Even before he launched his line in 1991 he knew it would be named Kosibah, a name given to a baby girl born on a Sunday in the Republic of Benin, after his mother to honor the nourishment and encouragement his parents gave his artistic pursuits. Osunkoya draws inspirations from his international travels as well as many other art forms including the ballet, and contemporary painting. Spending countless hours studying the work of legends like Dior, Balenciaga, and Givenchy, who felt the foundation of the garment was as important as its exterior, inspired him to study the time-honored art of couture at the Paris Academy of Fashion where he achieved top-tier grades in both men’s and women’s wear. 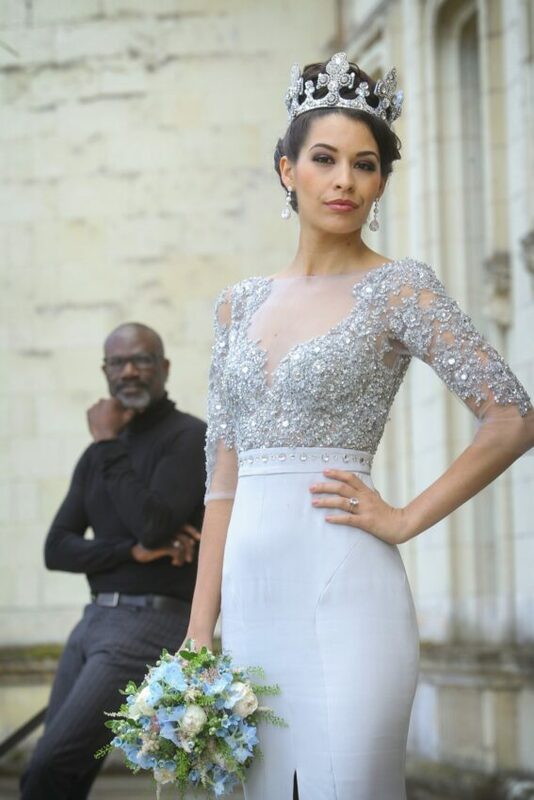 Because he is trained as a master couturier, each garment designed by Osunkoya for Kosibah undergoes a rigorous measurement process, and incorporates features like corsetry and boned bodices to ensure that each client’s gown reflects their personal blend of beauty and poise.He takes pride in catering to women of all sizes. While some designers see working with different body types as a challenge it excites him to bring the bride’s vision to life. He works to ensure that his clients not only look fantastic but that they feel that way as well. Actresses, dignitaries, and even royalty have turned to Osunkoya to make the most memorable days of their lives even more magnificent including Lady Janet Boateng, Dianne Abbott MP, Alesha Dixon, Sheila Ferguson, Hollywood actresses Louise Rose and Indra Ové, Miss World Agbani Darego,and singers Stephanie Benson and Kelly Rowland. His gowns have been worn to royal balls, state dinners, and other courtly occasions. But despite his illustrious clientele he prides himself on offering superior service to each and every one of his clients. He ensures that they feel involved in the process of creating their couture gown welcoming their input and happily honoring any religious or cultural traditions with respect and consideration. 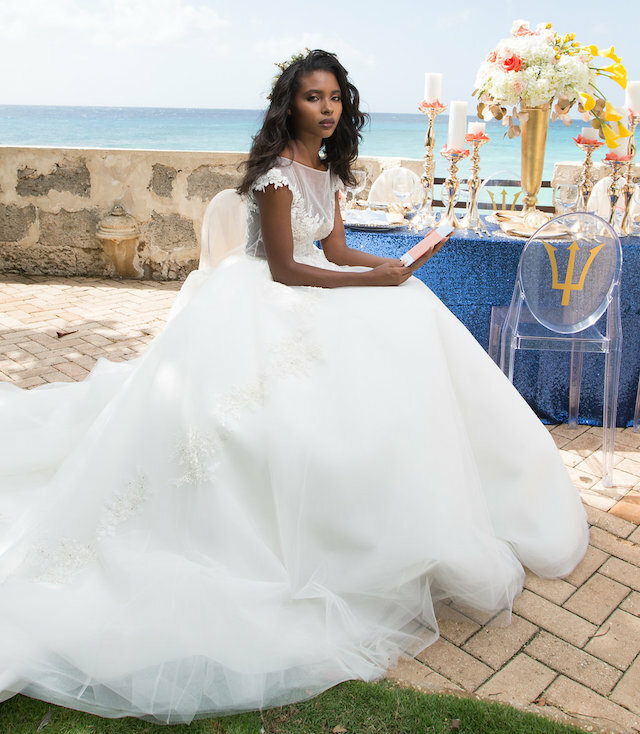 His celebrated bridal work has received Diamond Recognition from National Weddings. 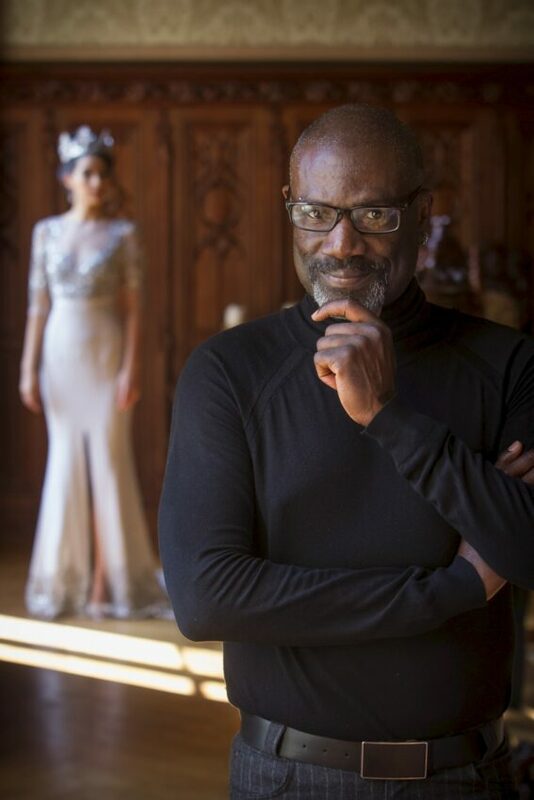 He has also been named International Designer of the Year by City People magazine, and received the Honorary Award for Contributions to Fashion from Fashion Diversity. He has been featured in a variety of publications including World Bride Magazine, BHF magazine, TW magazine, Lady Brille Magazine, Noir Bride, African Luxury and The Undefeated. Still his greatest accolades come from his clients who continue to send heartfelt thanks sometimes even years after they’ve worked together to make their dreams come true. While his line acknowledges and incorporates trends it does not follow them slavishly. Instead each Kosibah gown is crafted to be timeless and remain classic for as long as the lifelong memories created in them. He works with and is inspired by all types of luxurious fabric but he is repeatedly drawn to lace for its versatility. He often integrates it into his designs in unexpected ways including combining it with Swarovski crystals to construct imaginative appliqués to adorn sleeves, bodices, necklines and other design elements. He sincerely values the trust of his clients who place faith in his ability to flawlessly steer the design process from inception to reality. To offer his clients a truly seamless experience he collaborates with other artists to offer additional items to accentuate the gowns he has created. He finds collaborators that compliment his aesthetic and works with them to create elegant hair styles, shoes, accessories, and elaborate custom headpieces that help Kosibah clients look their absolute best. 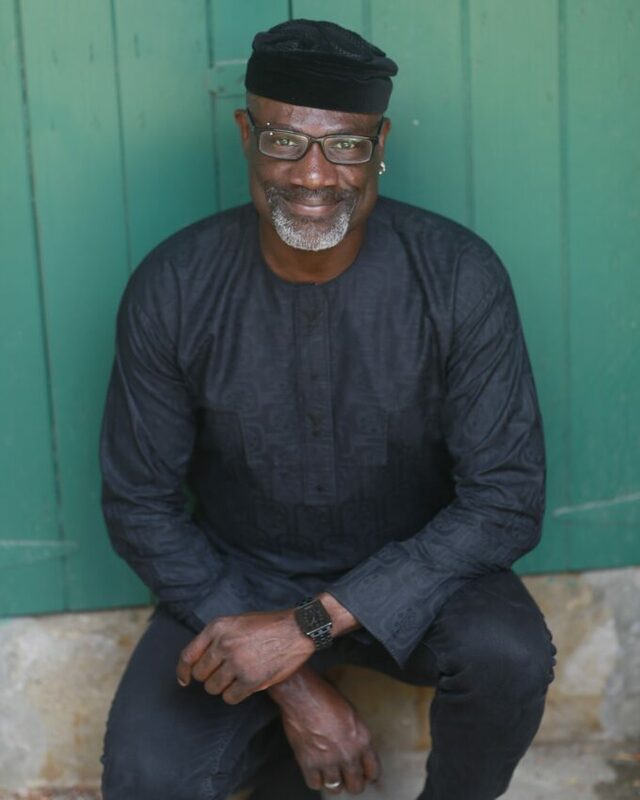 While he has been in business for over twenty-seven years Osunkoya was an early adopter of social media and is always employing new forms of technology to support his constant efforts to raise the bar in creating contemporary couture that changes lives. The way he communicates with consumers may have changed but his commitment to excellence never will. His next step in raising the bar will be bringing that commitment to a ready-to-wear collection titled Yemi O. by Kosibah so that every woman can feel like her life is a special occasion. He wants his legacy to live in the memories of the women who allowed him to play a role in the most important days of their lives.